Since reading this post from BritishBeautyBlogger, my heart has been beating nineteen to the dozen and a few hours later, shows no signs of slowing down. 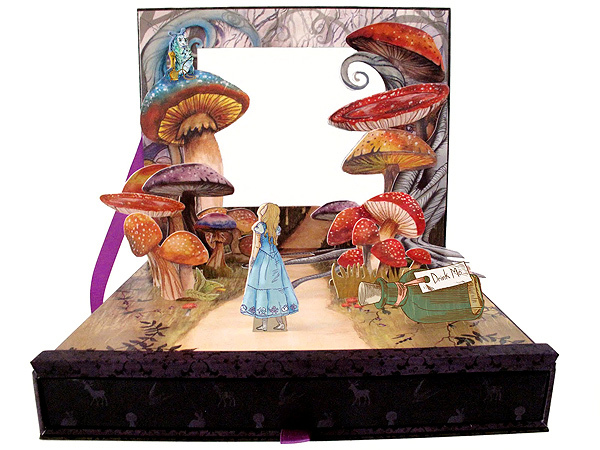 Introducing, The Urban Decay Alice In Wonderland Palette. Timed to coincide with the new Tim Burton film of the same name. There’s only 2000 set to be released in the UK, so it’s gonna be a challenge to nab one. What are your thoughts? Will you be getting one? I don’t own any UD eyeshadows, so I can buy this, guilt-free. If I can get my hands on it. Wow, this was worth passing up on Book of Shadows Vol 2 for… Glad I held out! As soon as I saw this I told myself that I need it haha. I recognise a lot of the colours but their normal names escape me right now, however I think Midnight Tea Party could be Midnight Cowboy, as they like to include that terrible colour in every palette. I need it.. its useless.. i have all the colors in some form in my collection.. yet i have a very strong desire to get this!! Oooh want iiiit.. Midnight Tea Party is presumably an incarnation of Midnight Cowboy, and Queen and Curiouser look identical to Last Call and Grifter respectively. Alice looks like Shattered, and Jabberwocky is probably Oil Slick. Hrmm… maybe I’ll ask Colin for it. lovely colors! I should think of buying it! Oh wow!! That looks GORGEOUS!! I don’t usually care much for the UD palettes (except for the deluxe one) but this is exceptional! i don’t own any UD shadows. This is definately on my to-get list! I haven’t been this excited about a launch since Hello Kitty! That’s says a lot! Man the colors are really gorgeous. Gives me something else to lust after. i was so excited when i read about this yesterday. 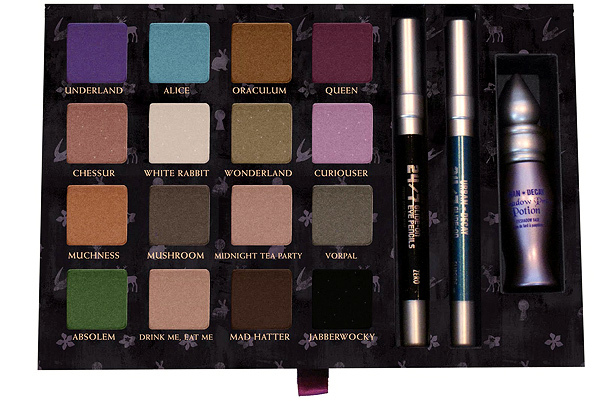 I missed the chance to grab book of shadows vol 2 (they keep OOS), i think i’ll hurry up and look for some1 to help me buy this new palette. It looks like it worth all the trouble to get it here!!! Omg how gorgeous is this?! Haha and the names are in line with lines from the movie too!!!!!! If I didn’t buy the BOS2, I’d have considered getting this! Jabberwocky is really calling my name! Oh. My. God. That is toooooo nice! I don’t have any UD shadows so I think I’ll be safe buying it if I can get one in time! OMG!!!!!!! I…..CAN……NOT…..WAIT!!!!!! 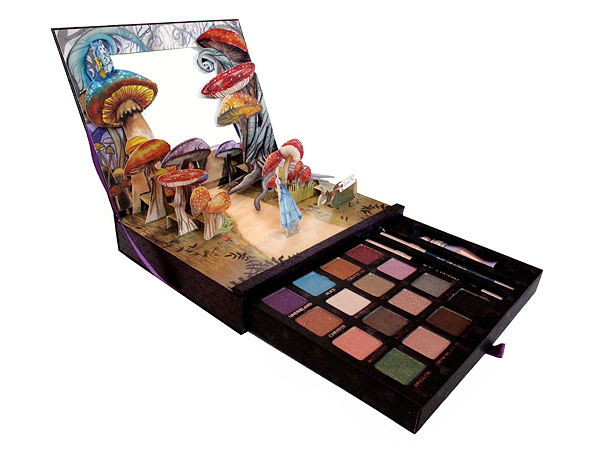 I love urban decay and have most of there other palettes, but this is the cutest one yet! I’m soooo buying this soon as it comes out. I love the colors and the names, it is so neat….